There’s a new pink drink available at Starbucks! The Starbucks ombré pink customization is a refreshing summery drink that combines light, fruity Cool Lime Starbucks Refreshers Beverage with cool, creamy Coconut Beverage and a splash of Teavana Shaken Iced Passion Tango Tea and a lime wheel, for a bright burst of hibiscus notes. 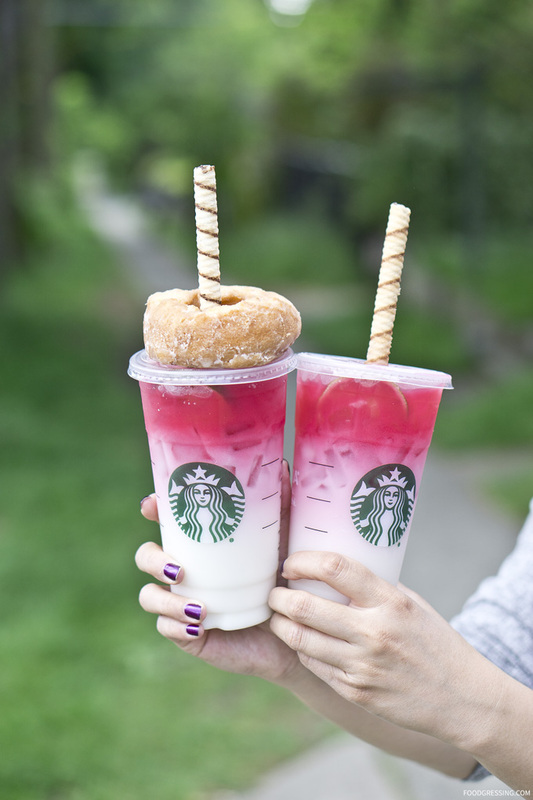 The drink is apparently inspired by the beloved Starbucks pink drink customization of last summer. To order the drink, just ask for a Cool Lime Refresher, sub Coconut Beverage (instead of water), with a splash of Passion Tango Tea. When I went to the Starbucks on Dunbar on Friday, I simply showed the Starbucks staff person at the front those exact instructions listed above. These instructions were then passed to the barista and he made it without any issues. I also added an old-fashioned glazed donut and two cookie straws for fun. So what does it taste like? It’s kind of got a tangy flavour with some creaminess to it. The bottom portion of the drink is coconut milk and the pink part is the Passion Tango Tea. The drink also has a lime wheel so there is definitely some lime flavour to it. The drink wasn’t very sweet but still satisfying. In terms of nutrition, a 16oz Grande has 100 calories and 18 grams of sugar. I’d would personally recommend giving it a try! Unlike the limited time offer of the Starbucks Unicorn Frappuccino, the ombre pink drink will be available on Starbucks menu year-round. While it’s a nice drink to cool off from the heat this summer, you can also enjoy it all year. Disclosure: All food in this review were complimentary. Opinions are my own. 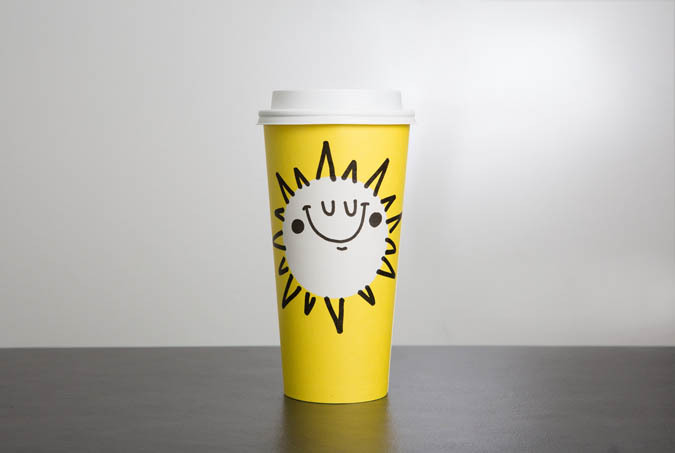 Last month, Starbucks welcomed the Spring season by offering their first-ever spring hot beverage cup. 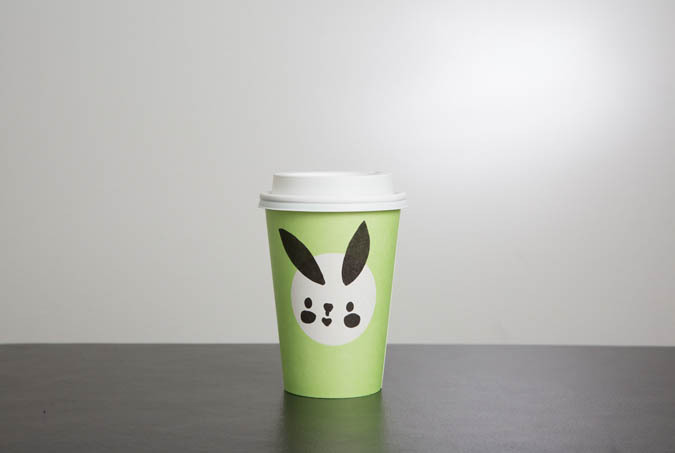 They were available for a limited time only and each tall, grande and venti size had its own cheerful colour in either pastel green, yellow or blue cups. 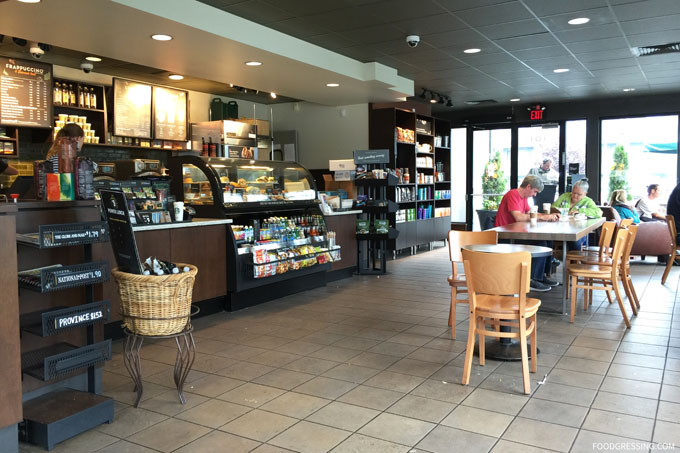 I was in Seattle at the time that the springs cups were being offered and got one on a morning coffee run at the Starbucks across my hotel. At first, they offered me a plain pastel cup for my grande. 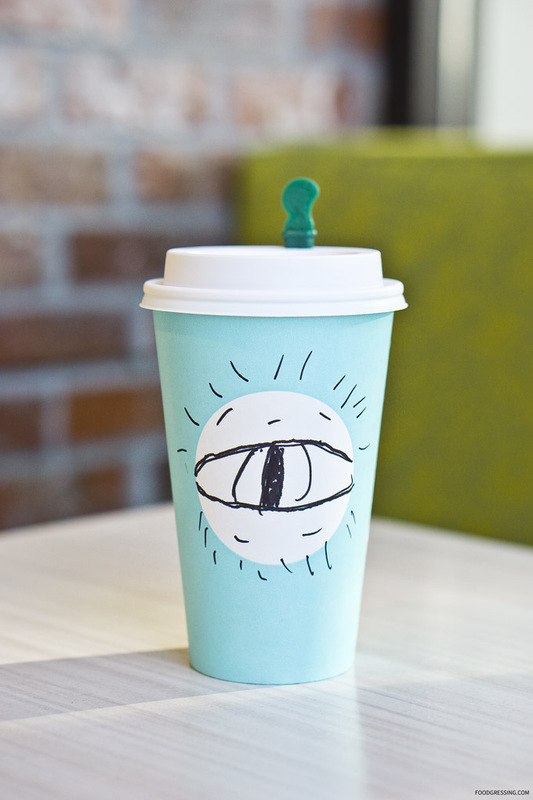 But then, with a bit of insistence on my part, the barista liberated the artist within him and drew an eye on my cup. He jokingly suggested that I post a photo of it under creepy on Reddit. If you look at Instagram posts under #StarbucksSpringCups, there are so many creative and interesting designs on the Starbucks spring cups. This particular one stood out with its positive message. After all the rain we have had in Vancouver, it was a nice and dry afternoon yesterday. And since it was a bit warmer, I decided to grab a cold drink from Starbucks to quench my thirst. 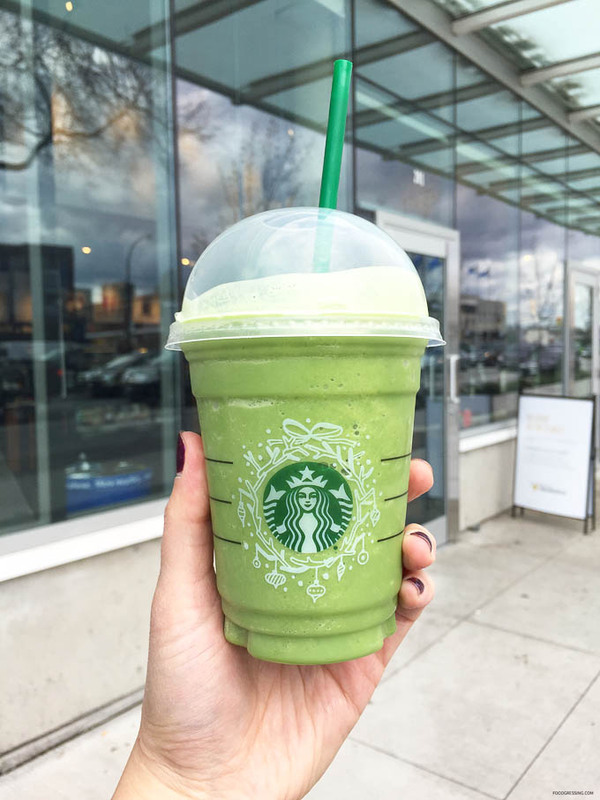 Looking at the Frappuccino list, I noticed a flavour that wasn’t new but I hadn’t tried before – Green Tea. I picked up a tall and decided to go light by not opting for the whipped cream. Here are my thoughts on the Starbucks Green Tea Frappuccino. Note: This is not a sponsored post. The drink was not complimentary. I did not receive any compensation or incentive to share about my experience. The staff did not know that I am a blogger. According to Starbucks, the Green Tea Frappuccino is “a blend [of] sweetened premium matcha green tea, milk and ice and top it with sweetened whipped cream to give you a delicious boost of energy.” I had a Tall (12 oz) with 2% milk and no whipped cream and it had 230 calories. 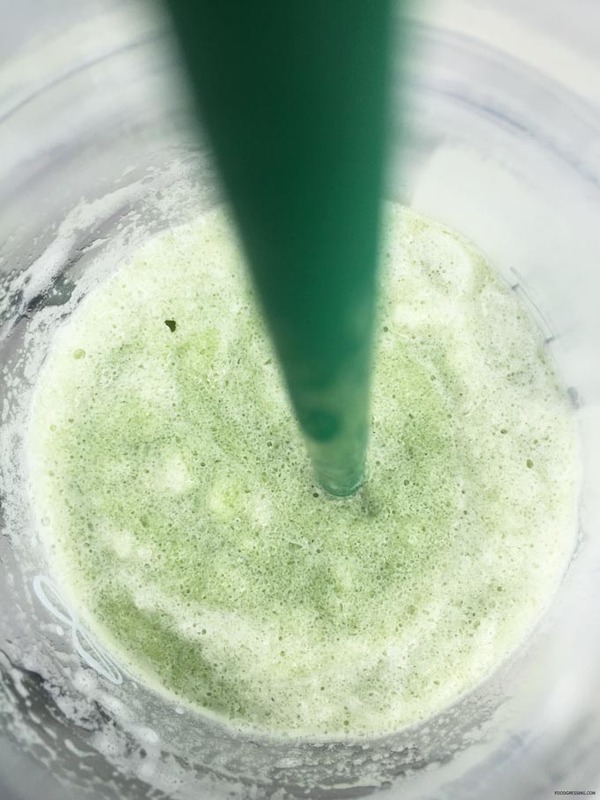 Ice, Milk, Crème Frappuccino Syrup [Water, Sugar, Salt, Natural And Artificial Flavour, Xanthan Gum, Potassium Sorbate, Citric Acid], Classic Syrup [Sugar, Water, Natural Flavors, Potassium Sorbate, Citric Acid], Matcha Tea Blend [Sugar, Ground Japanese Green Tea]. In terms of taste, the Starbucks Green Tea Frappuccino was better than expected! I thought that it would be a bit too sweet such as to mask the bitter green tea taste but there seemed to be a good balance between sweetness and bitterness. I did a enjoy a nice, slightly bitter matcha aftertaste. In general, I’d say the Green Tea Frappuccino is similar to green tea ice cream. 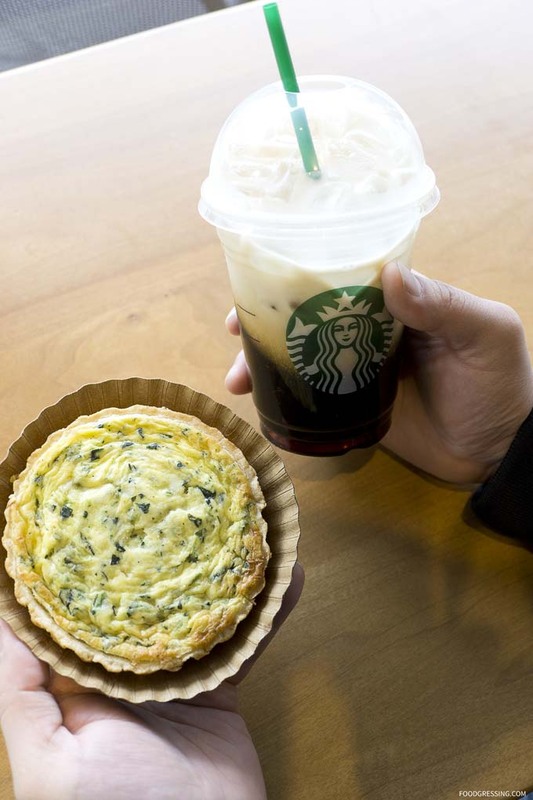 Last week, Starbucks Canada unveiled new food and beverages to celebrate the Spring season. I was invited by Starbucks to try out some of their new offerings and here are my thoughts each of the five new items. 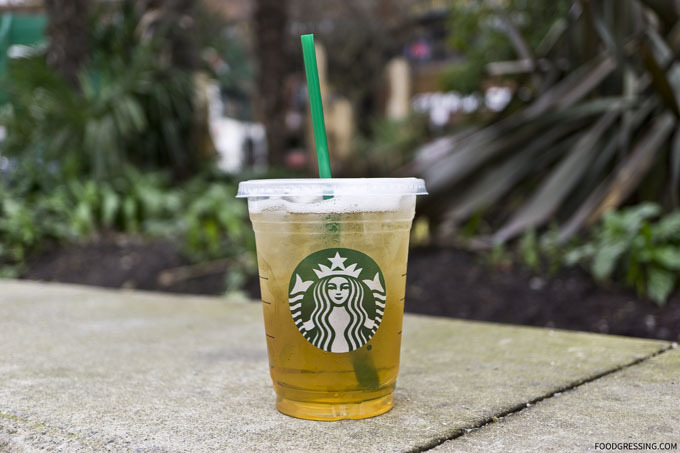 The new Spring additions to the drink menu include the Blonde Cinnamon Almond Macchiato, Teavana Shaked White Iced Tea/Tea Lemonade, and Toasted Coconut Cold Brew. 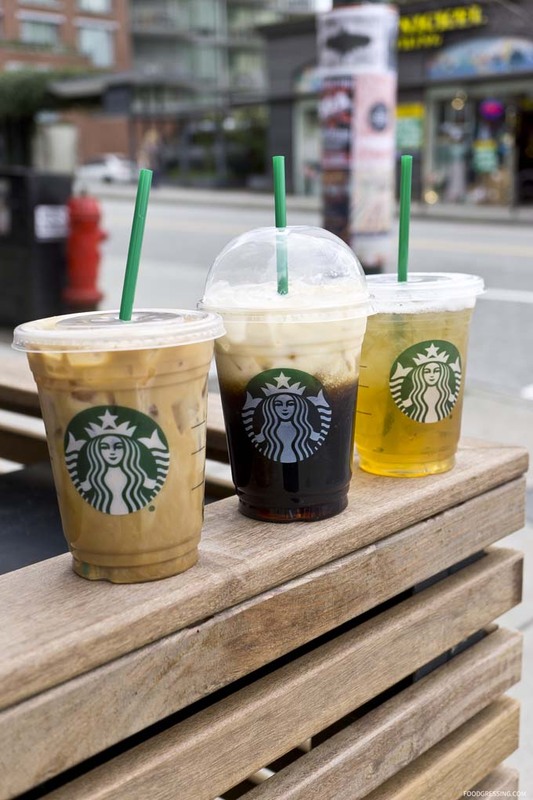 Starbucks Cold Brew is only offered at two locations in Vancouver (1795 Davie St and 2905 Hebb Ave). I was able to get the new Toasted Coconut Cold Brew from the Davie location. The official description of the drink is a “Nariño 70 Cold Brew sweetened with flavours of toasted coconut and honey and then finished with a splash of coconut beverage.” I definitely was able to taste the coconut flavour in this drink. Overall, I thought there was a good balance between espresso and coconut flavour. The toasted coconut seemed like an interesting way to add some extra oomph to the regular Cold Brew. 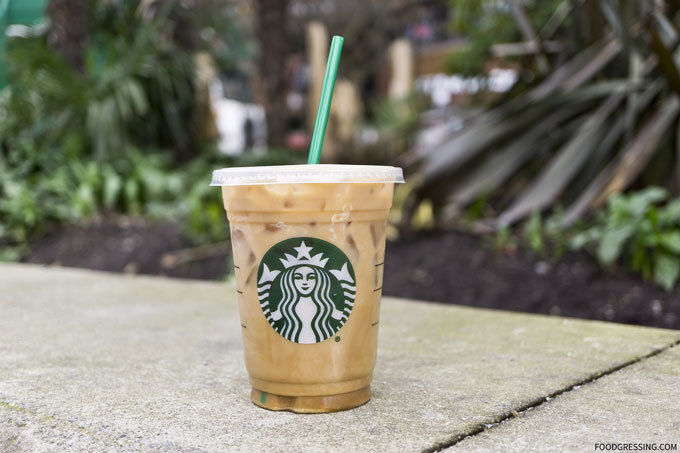 Starbucks describes the Blonde Cinnamon Almond Macchiato as having “extra smooth and subtly sweet taste of Starbucks Blonde® Espresso, the creaminess of almond beverage and sweetness of Cinnamon Dolce all in one”. It is topped with Starbucks signature caramel cross-hatch and a sprinkle of Cinnamon Dolce topping. I enjoyed this drink the most of the three because the mix of nutty, cinnamon and caramel flavours appealed to me. The Teavana Shaken White Iced Tea was very light, refreshing and had a clean taste. A good cold and non-espresso based option. 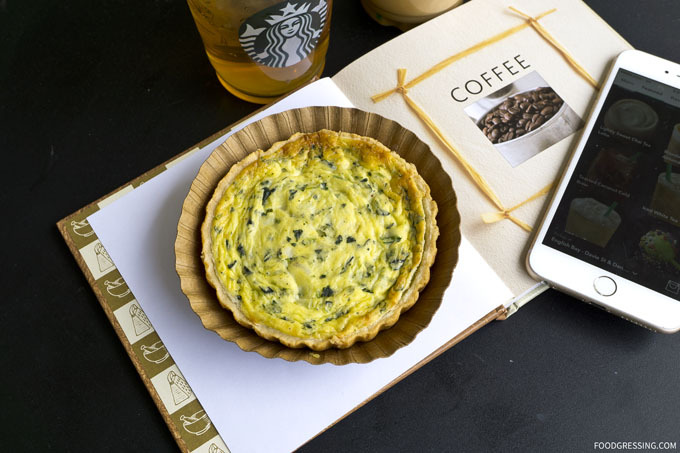 Moving onto foods, the Spinach and Swiss Quiche is made with cage-free eggs, spinach, caramelized onions and Swiss cheese with an all-butter crust. It was quite tasty starting from the buttery crust. The eggs, spinach, cheese and onions filling was also delicious. The quiche is a bit pricey at $6.25 but in terms of taste it doesn’t disappoint. 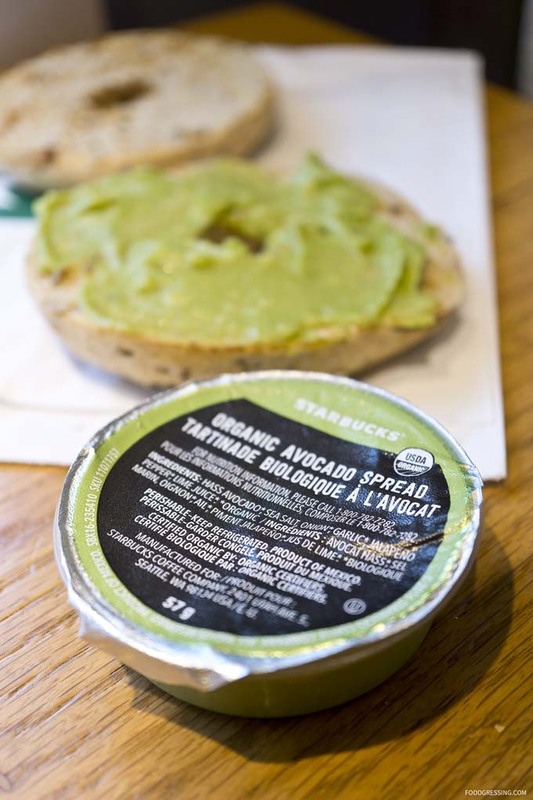 Now, there has been quite a bit of interest online regarding the new Starbucks Organic Avocado Spread. It’s kind of Starbucks way of bringing in the popular avocado and toast to their menu. The avocado spread comes in a pre-sealted container and is made with organic Hass avocados, sea salt, onion, garlic, jalapeño pepper and lime juice, according to the company. I tried the spread with another new item, the Sprouted Grain Bagel (whole grain oats, brown and golden flax, sunflower seeds, and wheat). And the verdict? It was sooo good. The avocado spread is quite like a guacamole but nevertheless tasty. It wasn’t too thin but still easy to spread on the bagel. The Sprouted Grain Bagel and the avocado spread was quite the perfect pairing with some nice textures of crispy & crunchy from the bagel, nuttiness from the seeds, and smooth, soft mouthfeel from the avocado spread. I would love to have this again. The items that I enjoyed the most were the Blonde Cinnamon Almond Macchiato, the Spinach & Swiss Quiche and the Organic Avocado Spread. I would recommend giving them a try. 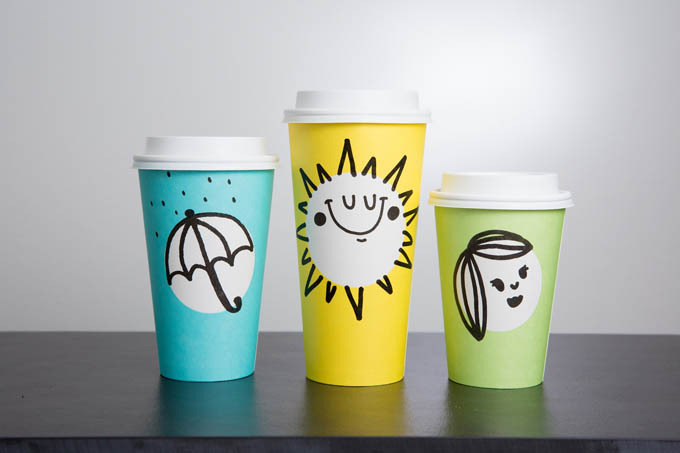 March 20 marks the first day of spring and Starbucks is celebrating the season with its first-ever spring hot beverage cup. Starbucks spring cups are available beginning this Thursday, March 16 at Starbucks stores in Canada and US for a limited time. 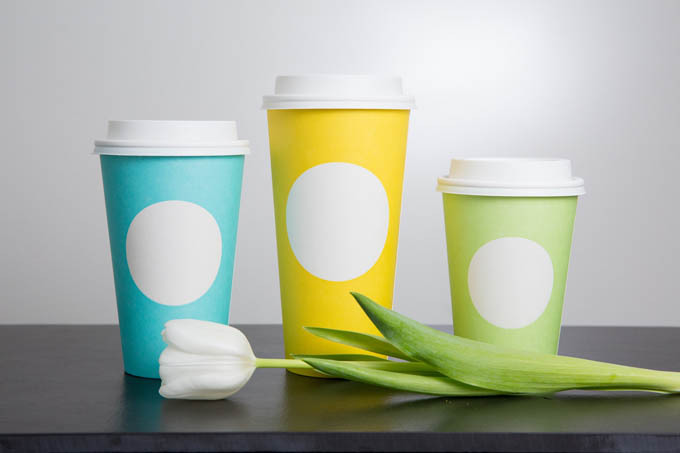 Each tall, grande and venti size gets its own cheerful colour in either pastel green, yellow or blue cups. 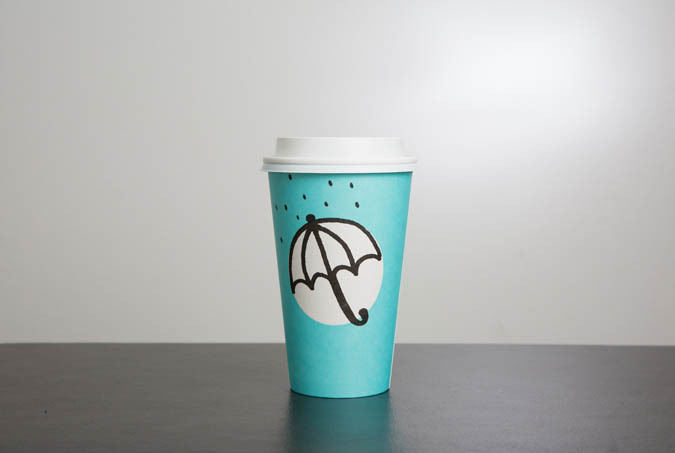 The cups will be decorated with white dots and hand-drawn designs like a bunny, sun and umbrella. 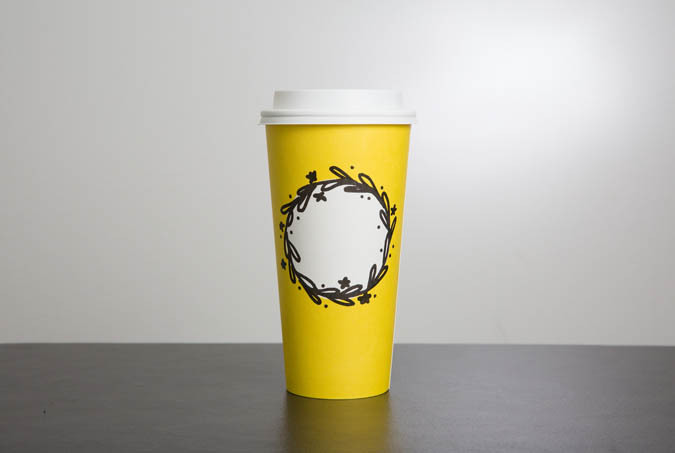 The cups are available in participating stores for just a few days, so get one while you can. I’m ready to put a bit of spring in my step. How about you? 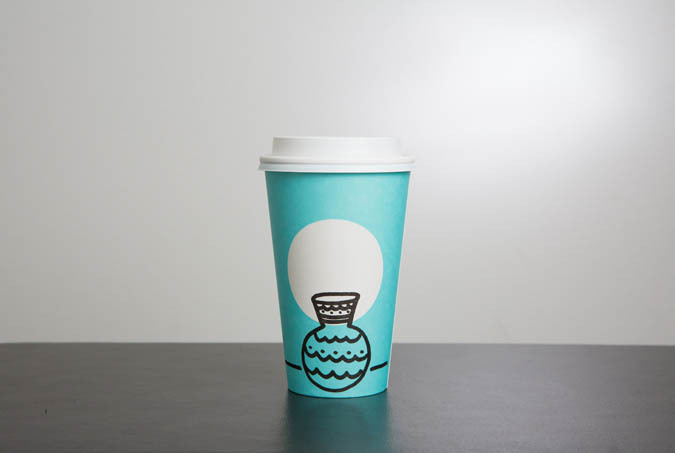 Scroll more below to see different Starbucks spring cups designs. 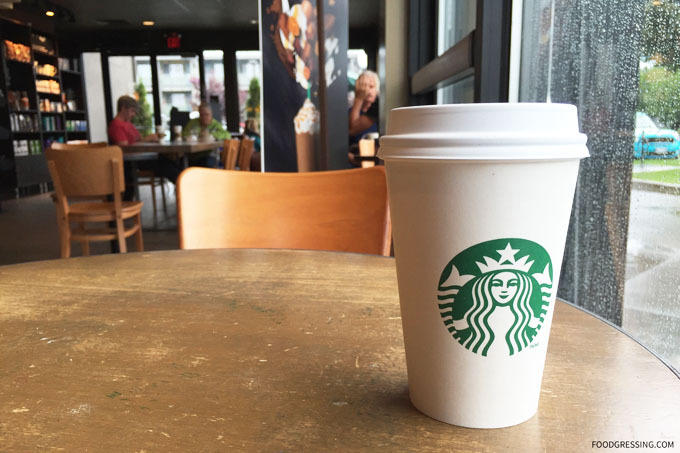 Last month, Starbucks Canada officially introduced the Starbucks Smoked Butterscotch Latte to their menu. At a media tasting last month, I had the opportunity to try out this new latte. 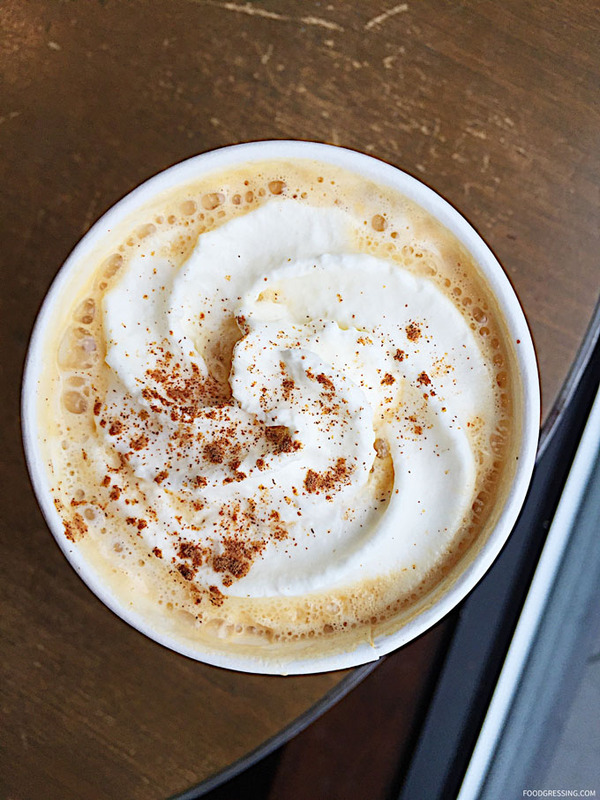 According to the chain, the Starbucks Smoked Butterscotch Latte combines espresso with steamed milk and smoked butterscotch sauce, finished with a sprinkling of smoky butterscotch topping. The smoky flavor is meant to balance the subtle sweetness of the butterscotch; it acts as savoury ingredient to enhance to flavour. 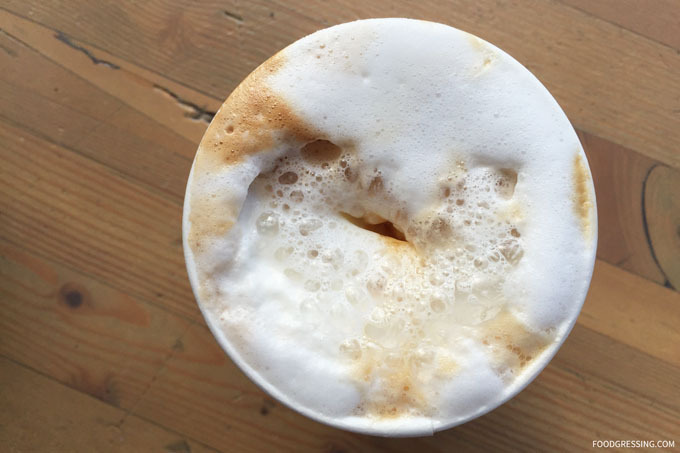 A few articles online compared the Starbucks Smoked Butterscotch Latte with “Butterbeer,” a drink which is mentioned in Harry Potter books. Butterbeer is described as a slightly alcoholic, “foaming mug” that tastes “a little bit like less-sickly butterscotch.” Reviews by so-called Harry Potter experts were mixed with some saying that the latte tastes just like butterbeer while others rejected that notion. Of course, one significant difference between the Starbucks Latte and Butterbeer is that the Butterbeer does not have espresso. There’s a Butterbeer-inspired recipe online made with actual butter and beer. 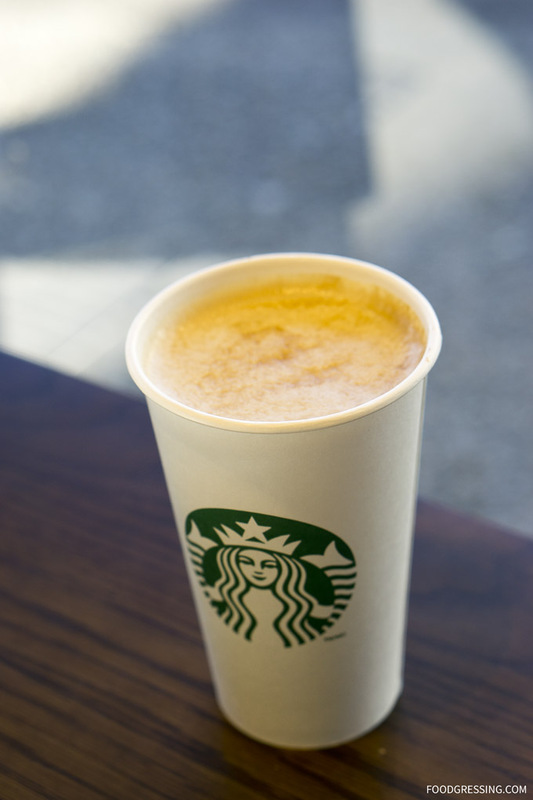 The Starbucks Smoked Butterscotch Latte is a “lighter” Starbucks beverage as it does not have whipped cream. A Tall (12-ounce) contains 270 calories, 11 grams of fat, and 32 grams of sugar. I quite liked the Starbucks Smoked Butterscotch Latte which tasted more like a very light caramel latte. The caramel flavour is very subtle and the drink is overall not too sweet. The smoky aspect of the drink evaded me; I couldn’t quite taste it. But I liked the drink which seemed like a good, cozy beverage to make you feel warm and fuzzy inside on a cold day. All in all, I liked the Starbucks Smoked Butterscotch Latte which which was lightly sweet and subtely caramelly. I think it’s on par with the Cascara Latte. I’d recommend givng both a try. 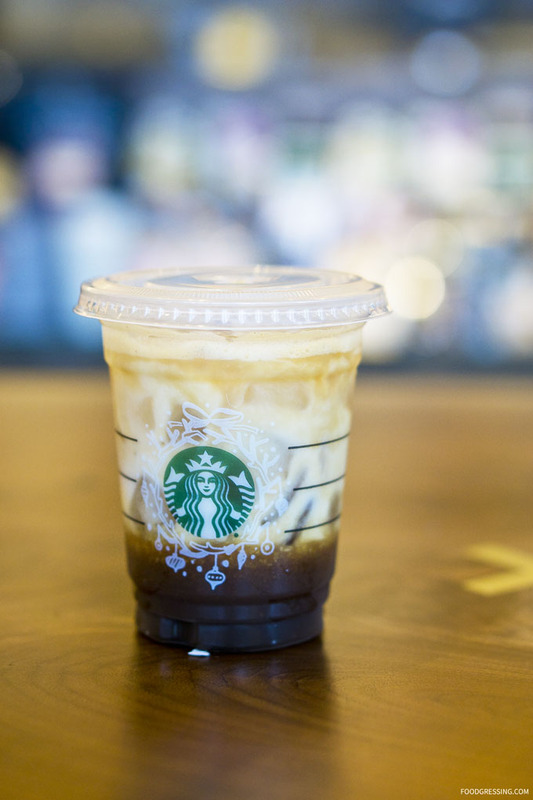 You might just be having a blonde moment on your next Starbucks visit. 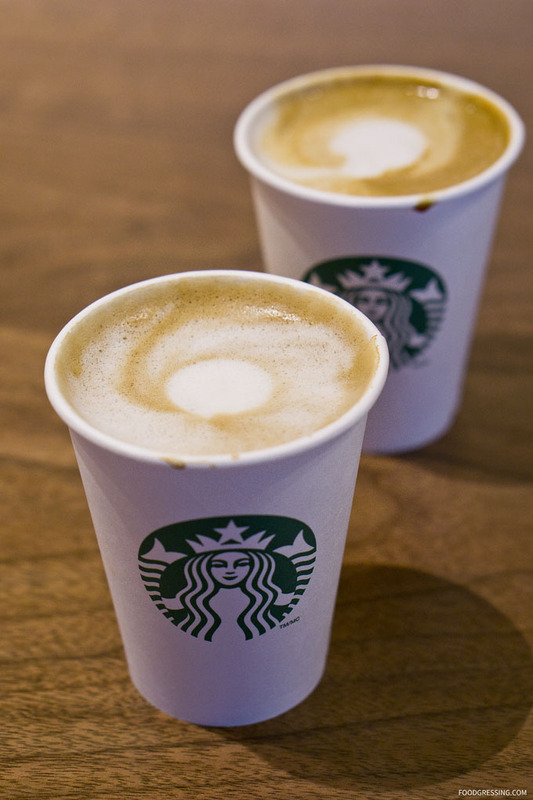 For the first time in over 40 years, Starbucks now offers a second choice in espresso. 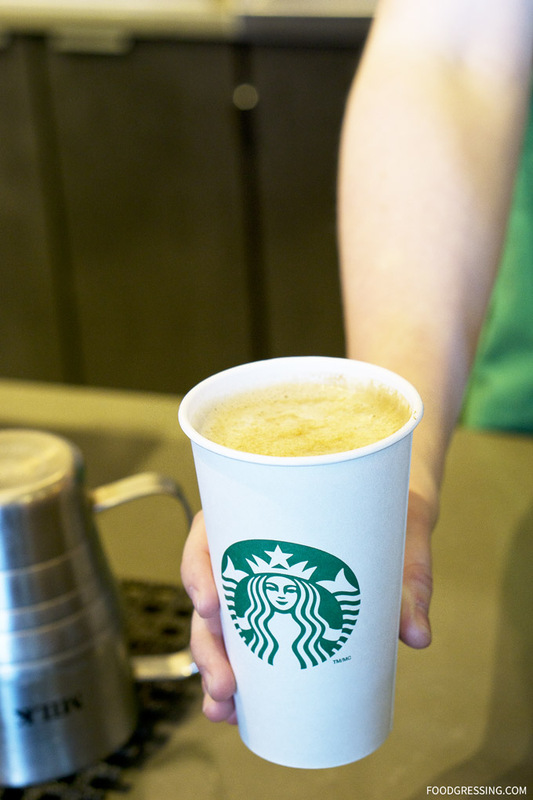 Available in hot or cold, Starbucks Blonde Espresso is a new core offering on the menu. Today, I attended a media tasting of this exciting new roast. How does the Starbucks Blonde Espresso Taste? 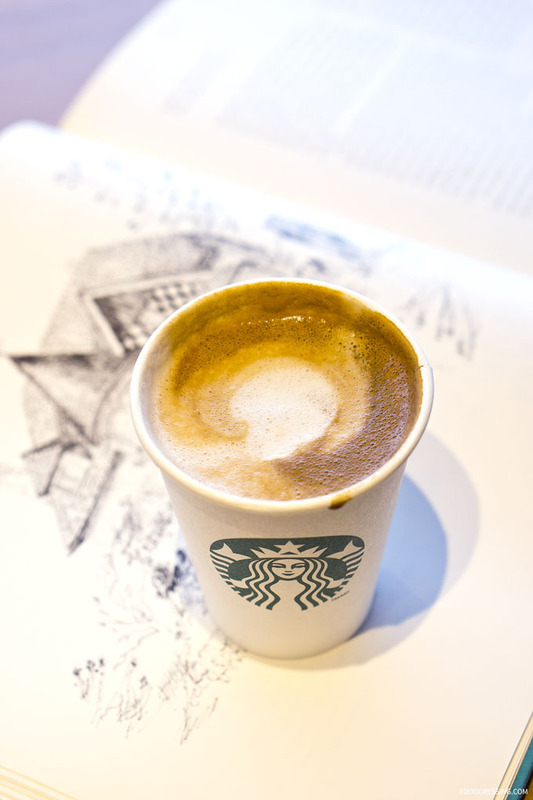 The Starbucks Blonde Espresso is a light roast and has a “smooth and sweet” flavour profile with citrus notes. In terms of texture, it is medium bodied, creamy and smooth. The Starbucks Signature Espresso Roast, on the other hand, is a dark roast with rich and caramelly flavors. 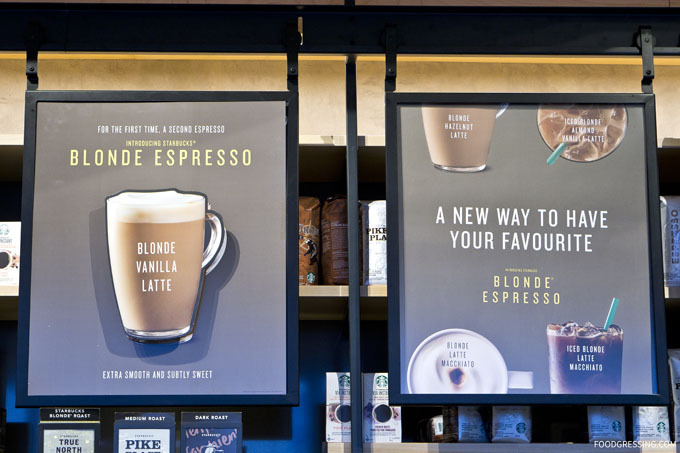 The lighter Blonde Espresso blend will offer a new choice to Starbucks fans but also caters to customers who want to adopt less-sweet, more coffee-forward beverages (hot and iced) that are the hallmark of coffee routines. 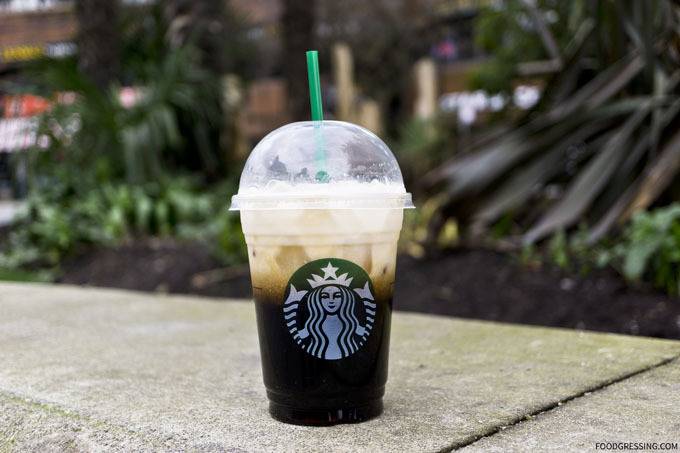 The Blonde Espresso was created to work particularly well in iced espresso beverages, which represents one of the fastest growing areas of Starbucks’ business. 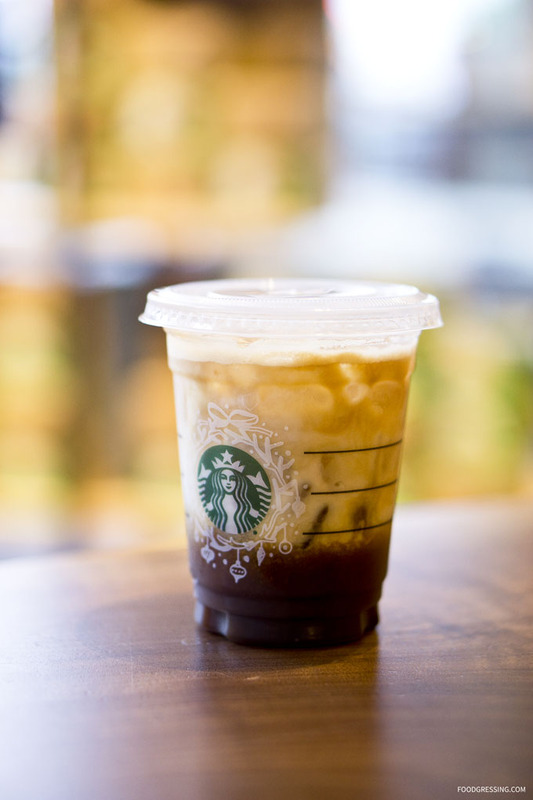 An iced Americano or Double Shot on ice allows the subtly-sweet flavours of the Blonde Espresso to shine through. 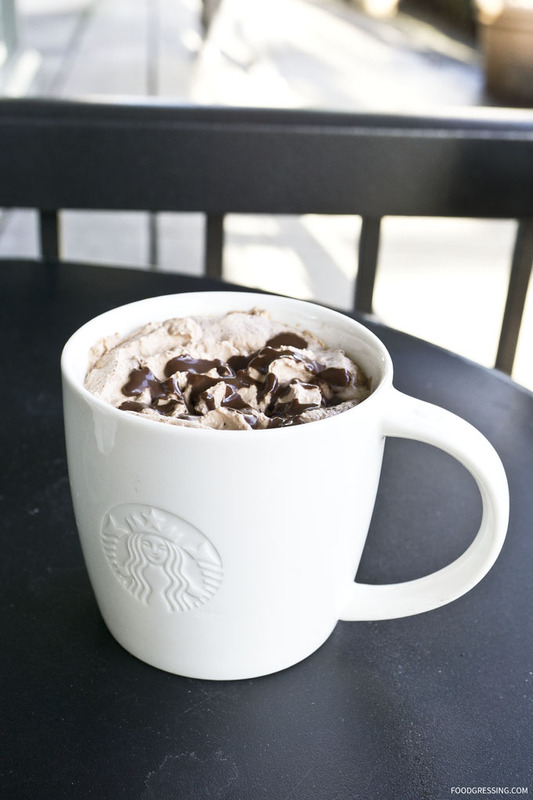 In terms of hot beverages, the perfect choices would be the Latte Americano or Starbucks Cafe Americano. As someone who enjoys more citrusy beverages, I quite enjoyed the Starbucks Blonde Espresso. Because it has subtly sweet flavours, less syrup is used in the drinks. The extra smoothness and creaminess quite appealed to me. And don’t forget that you can enjoy the Blonde Espresso with Almond Beverage. I sampled all the drinks with Almond Beverage which is perfect for someone like me who is slightly lactose-intolerant. I think I’ll be making a switch to the Blonde Espresso. Back for one week only until Valentine’s Day are Starbucks Molten Chocolate Trio. 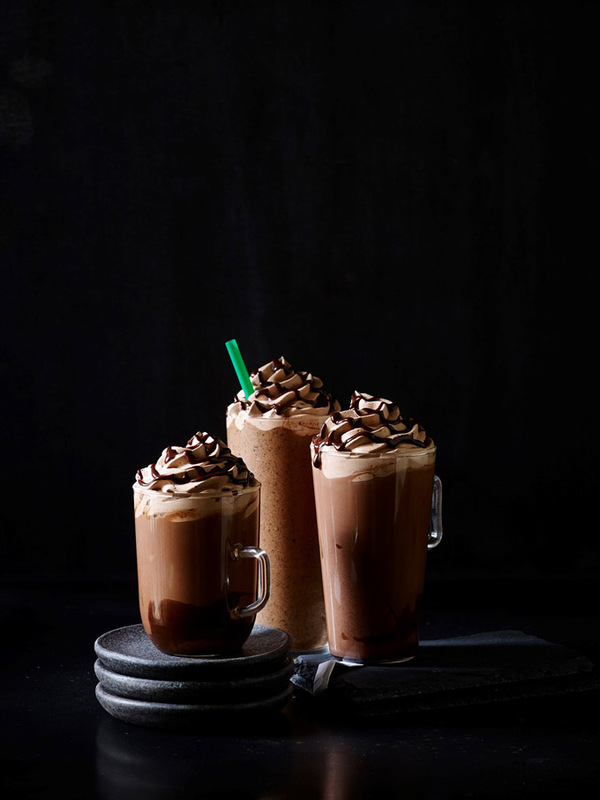 These enticing chocolate-inspired beverages include the Molten Chocolate Latte, Molten Chocolate Frappuccino Blended Beverage, and Molten Hot Chocolate. 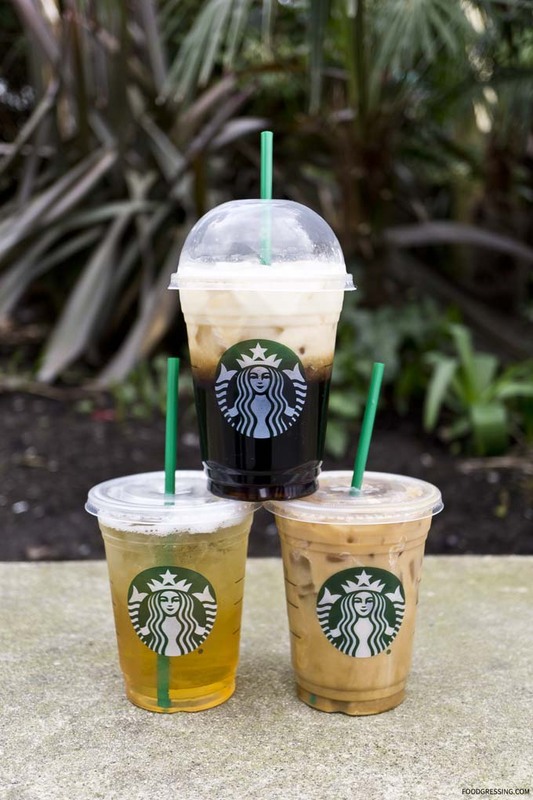 As a chocolate and Starbucks lover, I was certainly interested in trying these drinks out. So, this past week, I went to my local Starbucks with a friend and tried all the drinks in one sitting. In the case of the Molten Chocolate Latte and Hot Chocolate, the chocolatey chips are melted into the espresso and steamed milk, respectively. 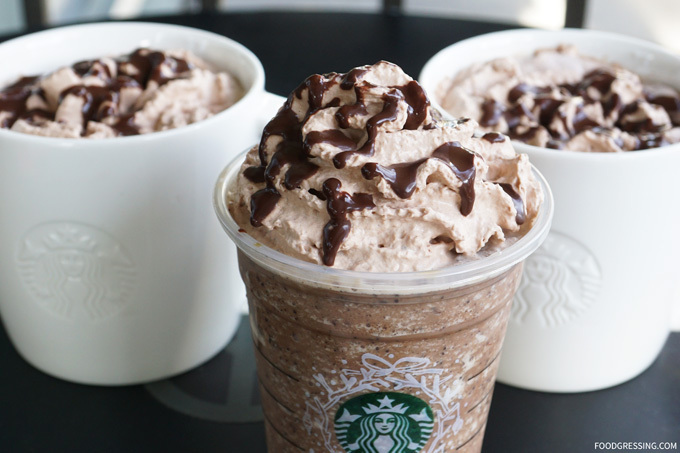 For the Molten Chocolate Frappuccino, they are blended with milk, ice and coffee. Next, I’ll be sharing my thoughts on each Starbucks Molten beverages. Description: Chocolatey chips melted into espresso, then topped with steamed milk combined with bittersweet mocha sauce. 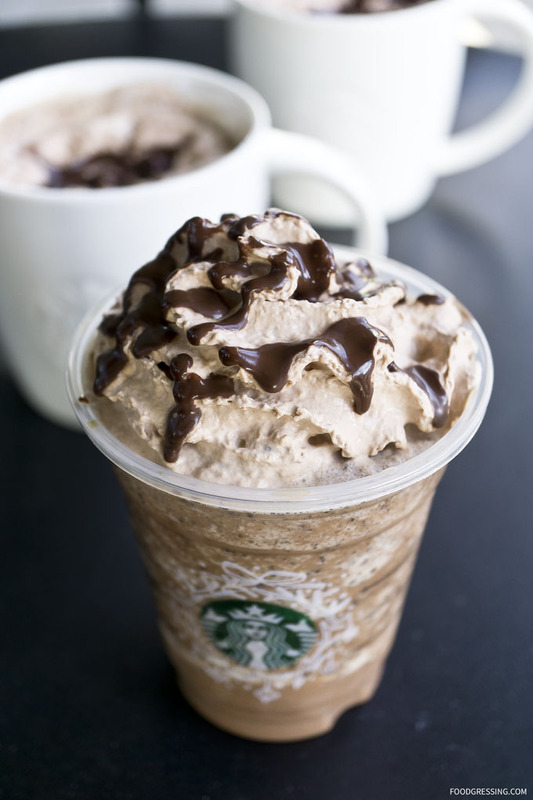 The topping is a mocha and espresso-infused whipped cream and an espresso mocha drizzle. Available in hot or cold. Price/Nutrition: In Vancouver, a Tall ($12 oz) is $4.45 and contains 350 calories, 16 grams of fat, and 34 grams of sugar. Taste Test: On first sip, I thought that both the chocolatey and coffee flavour were quite mild. Starbucks suggested that it tasted like a Molten Chocolate Cake but it tasted more like a diluted hot chocolate. The most flavourful part was when you reach the bottom of the drink where all the leftover melted chocolate is. I did like the subdued flavour in a way because otherwise it would be too rich and hence not drinkable. Description: A coffee with mocha sauce and chocolatey chips blended with milk and ice. Same topping (mocha and espresso-infused whipped cream and an espresso mocha drizzle). Price/Nutrition: In Vancouver, a Tall ($12 oz) is $4.45 and contains 300 calories, 15 grams of fat, and 36 grams of sugar. Taste Test: It’s a very sweet drink (like all frappuccinos in general). I like that the chocolate chips added a fun texture. Overall, it’s a lot more chocolatey than the other Starbucks Molten beverages. Description: Bittersweet mocha sauce and chocolatey chips melted into steamed milk. Same topping (mocha and espresso-infused whipped cream and an espresso mocha drizzle). Price/Nutrition: In Vancouver, a Tall ($12 oz) is $3.90 and contains 340 calories, 16 grams of fat, and 34 grams of sugar. Taste Test: A deep, dark chocolate flavour but very subtle. Not very sweet but not all that flavourful either. I enjoyed the sweeter and richer Molten Chocolate Frappuccino the most. The Molten latte and Molten Hot Chocolate were similar in taste to each other and to a mocha in general. I think the new Cascara Latte I tried a few weeks ago impressed me more than Molten Chocolate Trio. While visited Kelowna last fall, I decided to try Starbuck’s line up of fall beverages. These included the iconic Pumpkin Spice Latte, the new Chile Mocha and the Salted Mocha. Here’s a rundown on how I felt about each drink. When it comes to things associated with fall, the pumpkin spice latte has got to be near the top of the list next to leaves falling and changing of colors. As for the taste, it’s quite sweet and tastes closer to a cinnamon latte with subtle flavours of pumpkin and nutmeg. Still delicious, creamy and gives you that warm, cozy feeling on a cool fall day. 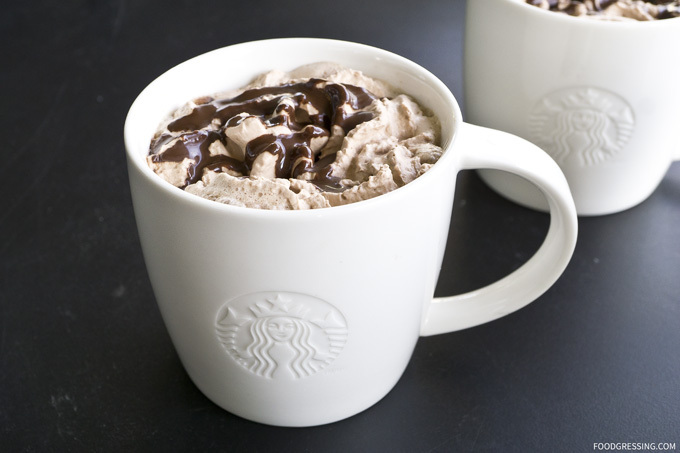 The Starbucks Chile Mocha was a new addition to the menu for fall. The idea of a “spicy” drink offered by Starbucks was intriguing and I was excited to try it out. 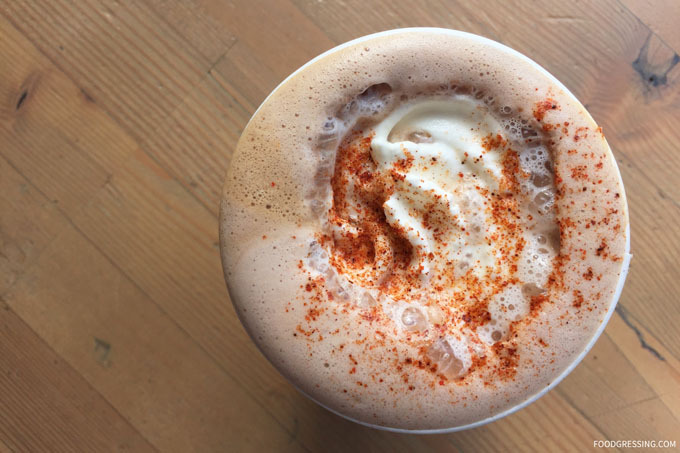 The spicy part of the drink comes from ancho and cayenne chile spices. At first sip, my palate was excited by a nice, spicy kick to that gave me a jolt in addition to caffeine. The drink was a bit reminiscent of a spicy Mexican hot chocolate. As Starbucks as noted, the Chile Mocha is good for those mornings when you need that extra kick. The Salted Caramel Mocha was the one I least enjoyed. I was expecting a more sweet and salty drink, but it was predominantly sweet. The drink is too much of an indulgence at that level of sweetness and wouldn’t be a regular order. The pumpkin spice latte is that iconic, classic drink that seems to be on the menu for always. I’d recommend the Chile Mocha for something more exciting. 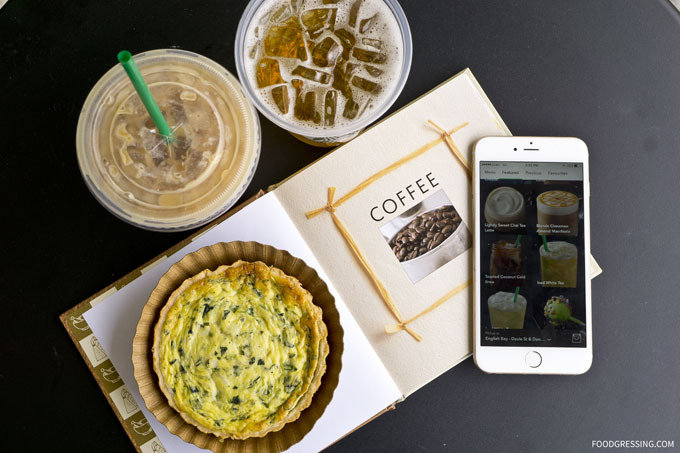 Valentine’s Day is quickly approaching and Starbucks is offering limited time Valentine’s Day-inspired food, beverage merchandise to celebrate the season of love. 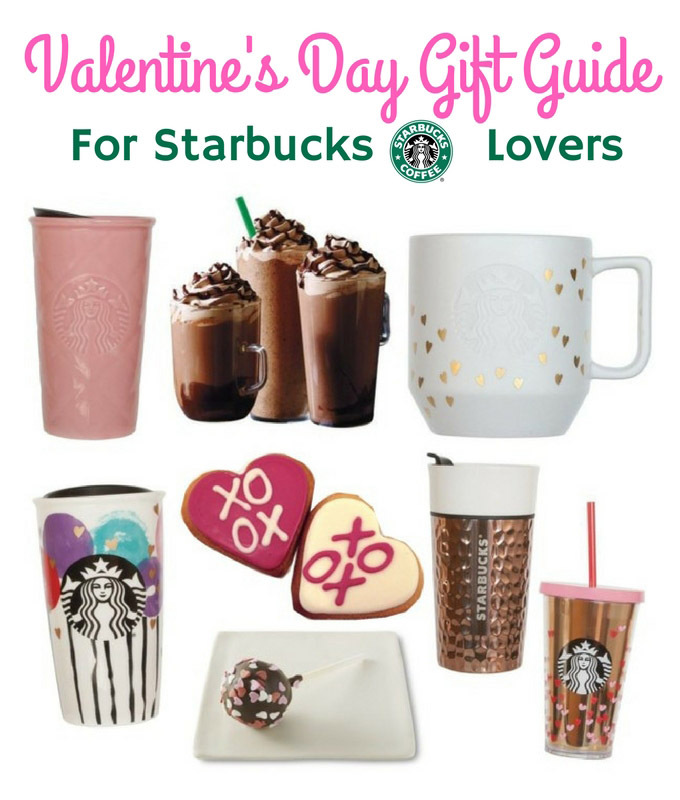 Here are some Valentine’s Day gift ideas for the Starbucks lover in your life. If there’s ever a time to indulge in life’s sweetest treats, it’s Valentine’s Day, and returning for a limited time, The Molten Chocolate Trio consists of three delicious beverages: Molten Chocolate Latte, Molten Chocolate Frappuccino Blended Beverage, and Molten Hot Chocolate. Starbucks Valentine’s Day Tumblers, Mugs… and more! Starbucks Valentine’s Day collection features mugs, tumblers and cold cups decorated in classic pink, red and gold hearts. For any type of beverages, these items will remind that special someone just how special they are!